Allen Thomas, Timberline boys’ basketball coach, had a message to his players before their opening game of the Class 3A state tournament at the Tacoma Dome. 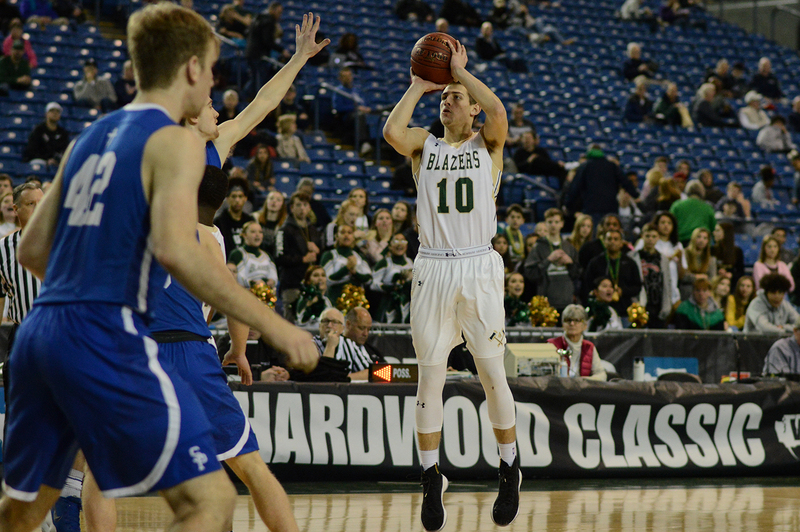 Erik Stevenson listened to his coach, then went out and hit just about every outside shot he put up in the first half against Seattle Prep in the Blazers’ first-round matchup, including a handful of 3-pointers. The rest of the team followed suit, shooting a blistering and very un-Tacoma Dome-like 64 percent from the field in the first half against the Panthers. Thomas’ advice to his players was much shorter at the intermission. 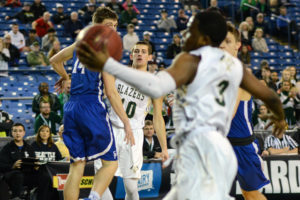 Behind a scoring outburst from Stevenson, and strong overall performances by fellow seniors Eli Morton and Casson Rouse, the Blazers finished fourth at the state tournament, defeating fourth-seeded Kelso in overtime, 64-59, in the placing round on March 3 to post the program’s best finish since 1981. 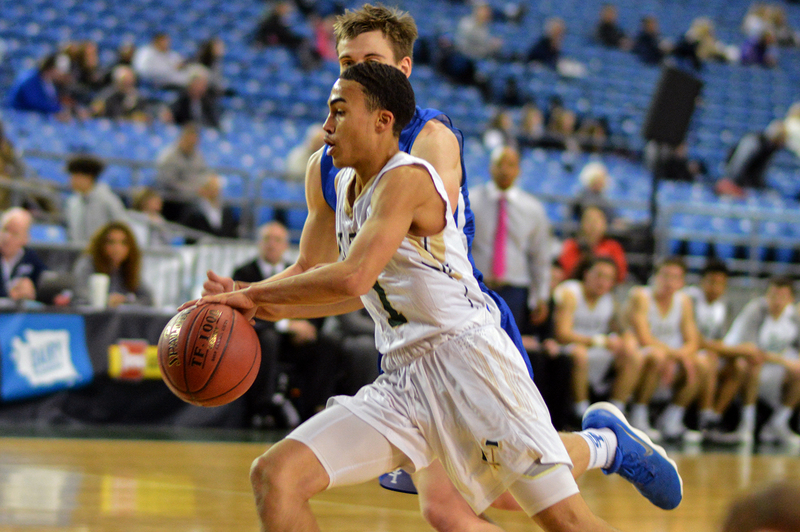 Stevenson opened up tournament play by scorching Seattle Prep for 43 points. His performance fell 5 points shy of equaling the 3A state tournament record for points in a single game, which was set by O’ Dea’s Ryan Williams in 1994 when he put up 48 points in a win over Nathan Hale. Unlike Williams, who did most of his damage 24 years ago from the free throw line as he went 20 for 22 on the day, Stevenson got most of his points from long range, sinking 7 of the 12 3-pointers he put on against the Panthers. Rouse added 18 points and Morton scored 15 against the Panthers. 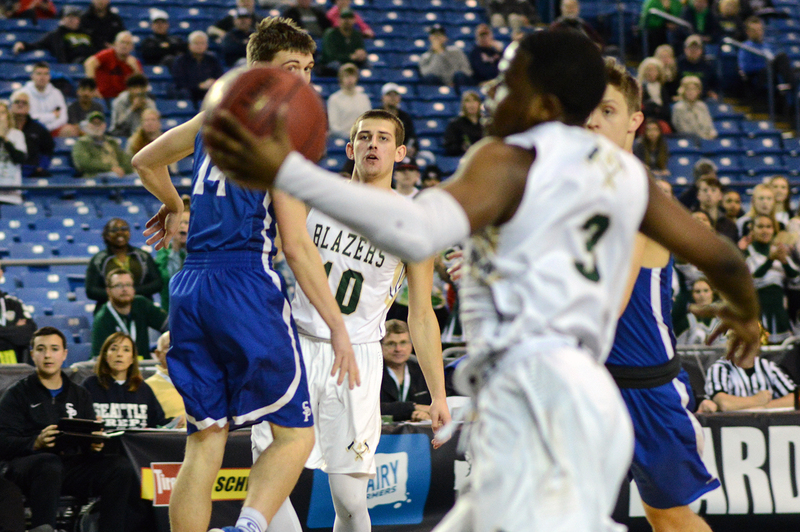 Perhaps more impressive than the team’s hot shooting was the fact the undersized Blazers held a 29-23 rebounding edge over a much large Seattle Prep squad. 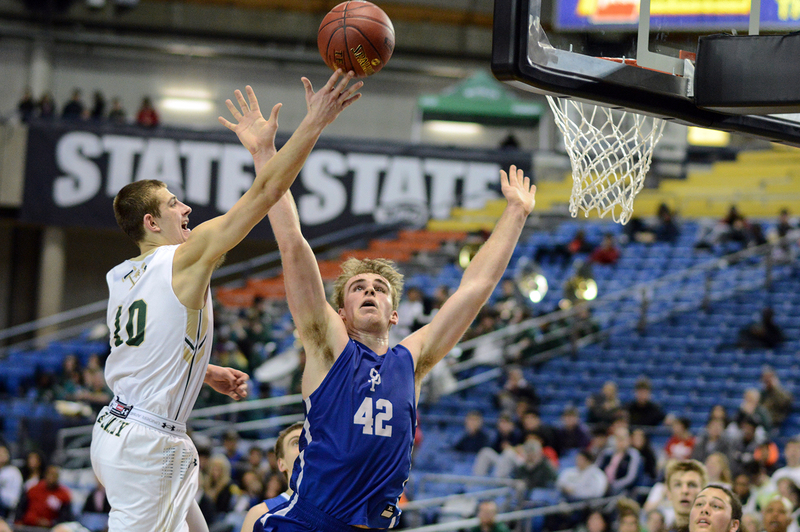 Timberline’s hopes of claiming the program’s first state title since 1980 were dashed in the quarterfinals after they fell to Lincoln, 64-63, in a rematch of district tournament semifinalists. The Abes, who had little trouble knocking off the Blazers by 22 points at districts, led by 10 at the intermission, but unlike the first meeting, Timberline was able to rally before coming up a basket shy of avenging the previous loss. Stevenson once against paced the Timberline offense, scoring a game-high 23 points, while Rouse and Trevor Joubert added 17 and 11 points, respectively. 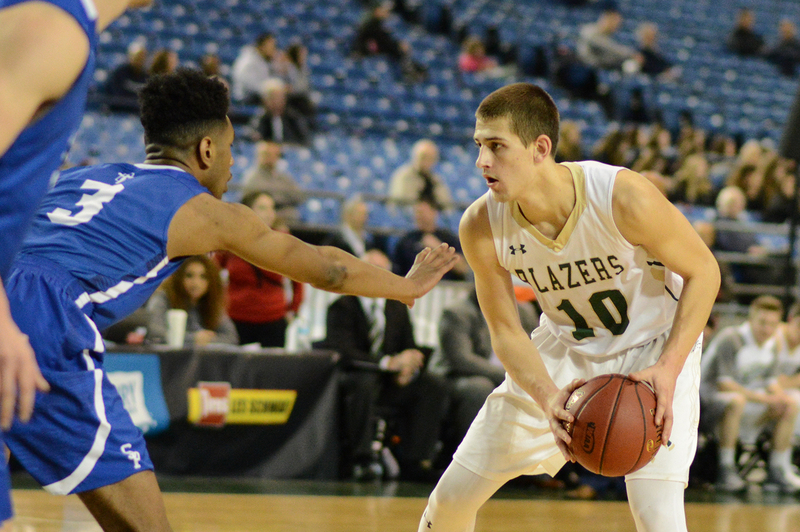 Faced with the possibility of leaving Tacoma without a trophy, the Blazers overcame an eight-point fourth quarter deficit in the loser-out contest against Wilson, outscoring the Rams, 30-16, in the final frame to register a 73-65 victory. Stevenson added 31 points to his growing state total against Wilson. He struggled from 3s, missing 10 of the 11 shots he put up from beyond the arc, but more than made for it by going 10 of 13 on 2-point shots and 8 of 10 from the line. Timberline (22-7) closed out its season by knocking off Kelso, which had defeated the Blazers, 58-51, in the regional round, to collect the fourth-place trophy, marking the first time the program had placed at the state tournament since the 1981 squad finished second after falling to Centralia, 53-42 in the title game. It is the fourth top 4 finish ever for the Blazers. 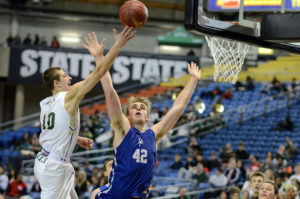 In addition to finishing second in 1981, Timberline won the 3A state title in 1980, defeating Cheney, 39-32, and finished second in 1973, losing 54-52 to East Bremerton. Stevenson finished with 21 points against the Hilanders, pushing his four-game state total to 118 points, the second-highest point total ever for an individual 3A state tournament. Andre Winston, Jr. of Lakes put up a record 119 points in 2010.